Unfortunately Single crochet will be part 2 and double crochet will be part 3. 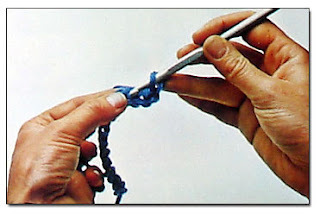 To start, make a chain of about 20 chain stitches. Hold the chain in your left hand and slip the needle into the second loop in the chain. With the hook, grab the yarn and pull it through the loop. 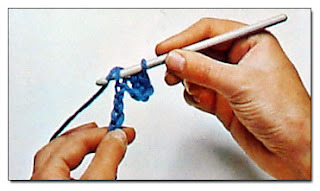 You will see that you have two loops on your crocheting needle. 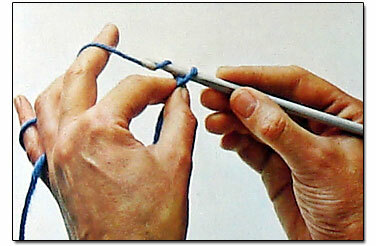 With two loops on your needle reach over and grab the yarn again, and pull it through BOTH loops. 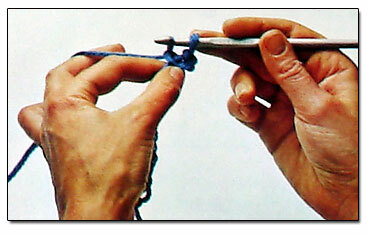 Once you pull the yarn through both loops you will have ONE loop on your needle again! 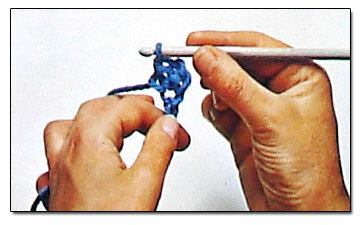 You have just made what is called a single crochet. Repeat this page from step 1 above, in the next loop on your chain. 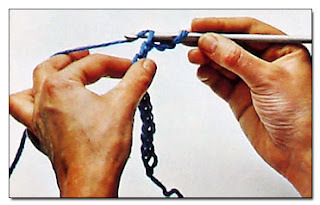 Continue to work one single crochet into each chain until you reach the end of the row. To turn your work, keep the hook in the right hand and turn what you crocheted over, from right to left.